Nest Rose Noir & Oud Diffuser features Rose de Mai and smoky oud combined with hints of incense, black leather, and patchouli. 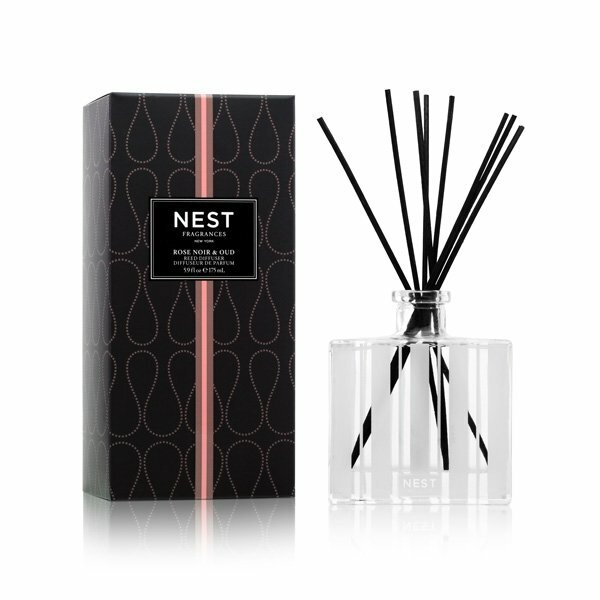 Nest Diffusers are carefully crafted with the highest quality fragrance oils and are designed to continuously fill your home with a lush, memorable fragrance. Nest's alcohol-free formula releases fragrance slowly and evenly into the air for over 90 days. To intensify fragrance, occasionally flip the reeds over.